Tamil Nadu Government has announced a special renewal concession for those who missed the renewal during the year 2011 – 2015. Employment renewal Missed year 2011, 2012, 2013, 2014 and 2015 chance to renew offer by Tamilnadu Government. Special renewal offer period has three months i.e. 22.08.2017 to 21.11.2017 the camp will end on 21.11.2017. 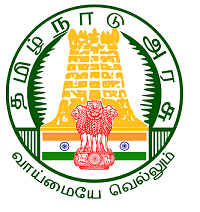 Candidates can renew their renewal on official online website https://tnvelaivaaippu.gov.in/Empower/ or walk through directly to their District Employment office’s or sent your application form along with their certificates through Register post. hi, you have a chance to renew the Employment card. Do it as soon as possible. either renewal it by your self or Visit nearest browsing centre or mail me your details. i will do your employment renewal. yes you can renewal directly go to district employment office. i have done last month after 2015. Is there any other opportunity to renewal again?? at present no new announcement. but dont worry in future you will get. Is there other opportunity to renewal again? I have completed my 10th std. on 1994, after getting my pass result, immediately i am registered my 10th and following of 12th and my typewriting in higher grade both in tamil and english all in Anna Nagar employment office registered. After that i am continuously without breaking registered my degree , as per govt. rule i want to do my register of degree certificate in santhome employment office. meanwhile i want to do my renewal of my 10th, 12th and typewriting renewal appeared dec. 2000, but Here i have done a great mistake is, 10th renewal will continue along with degree renewal.. so that i stopped my renewal of 10th, 12th and my typewriting. now what i have to do my continuity of 10th renewal any possible is there sir… please help me. now i am only continue my higher degree renewal only.. Here with i am sending my breaking of my 10th, 12th and typewriting renewal reg, no. date of reg. is 24-6-1992 , reg, no. W/8591/92. please do the needful sir. there is one time chance to renewal the missed renewal. kindly contact the employment office. if your renewal falls between 2011-2016, you can renew. at present no options. but you have to wait for next announcement. how many months left? if it is less than 18 months then you can renew online by your self. if more than that you have to wait for government concession announcement. check our site and Employment site continuously for updates..
already date finished. wait for next concession. My employment registration renewal expired 2016. So my employment registration lapsed. How to do renewal my registration? keep check our website. Subscribe us to receive notification for the latest Kadhambam posts. sir my employment due date is june 2016…. you have to wait for the announcement from government for concession in renewal. f u r degree is professional like BE, etc., u have to register it AS A NEW REGISTRATION ONLINE separately BY CHOOSING professional employment Chennai.IF IT IS ART AND SCIENCE OR OTHER DEGREES THEN YOU CAN ADD YOUR QUALIFICATION IN YOUR OLD EMPLOYEMENT CARD ONLINE. How to update my new degree certificate in employment office by online? 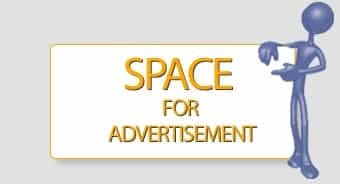 if u r degree is professional like BE, etc., u have to register it ONLINE separately using professional employment Chennai.IF IT IS ART AND SCIENCE OR OTHER DEGREES THEN YOU CAN ADD YOUR QUALIFICATION IN YOUR OLD EMPLOYEMENT CARD ONLINE. SHOW YOUR OLD CARD TO YOUR EMPLOYMENT EXCHANGE OFFICE AND ASK THEM TO CHANGE YOUR NAME AS PER THE SSLC RECORD. MY RENEWAL MONTH 12/2017. I FORGET THAT MONTH. PLEASE RENEWAL ME SIR. MY REG NO:2930/2002. WORK SYMBOL: X01.10. EMPLOYMENT OFFICE CUDDALORE. dONE. YOUR NEXT RENEWAL IS JULY 20/20. IF you ARE HAPPY you CAN DONATE SOME MONEY TO RUN OUR WEBSITE BY CLICKING “DONATE BUTTON” BELOW OUR KADHAMBAM WEBSITE. Please renewal me sir. my date of birth.23.09.1986. Reg No:2930/2002. Professional Symbol: X01.10. my renewal month 12/2017. I HAVE RENEWED YOUR EMPLOYMENT id. YOUR NEXT RENEWAL IS JULY 20/20. IF you ARE HAPPY you CAN DONATE SOME MONEY TO RUN OUR WEBSITE BY CLICKING “DONATE BUTTON” BELOW OUR KADHAMBAM WEBSITE. Concession period is closed. You have to wait for next concession for employment renewal. or keep visiting our website we will inform if any. if your renewal date is current then click – advance (you can see below the “Your connection is not private” this message and click proceed. choose candidate login and give all your details to get your employment id. Dear sir I missed the renewal date 2011 2012 2013 2014 2015 2016 what can I do sir pls help me sir. at present renewal concession is closed. but you can try to login to your account and try to renew. i think for MSc you have to register in professional employment exchange,chennai as separate registration. I missed to renewal in special concession period of 25.01.2019.. is there any chance, government will announce another period for renewal?? Wait for the announcement.if your missed renewal years is less than 2 years(18 months) then you have a chance to renew “now” itself. SEND YOUR DOB OR PASSWORD TO [email protected], I WILL TRY TO RENEW IT.